M Performance Black Lines. 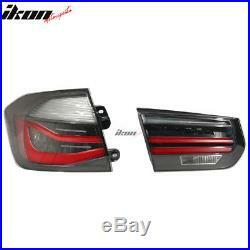 1x Set of Tail Lights With Wire Coding Harness. Please Feel Free To Place Your Order! HI, AK, PR, GU, VI, PO BOX, APO, FPO. It is our goal to provide 100% satisfaction and peace of mind to our customers. If you are not satisfied with the products for any reason within 60 days of receiving the item. Item must be unopened, and be in their original packaging. No signs of being installed or mounted, used, cut wires or scratches. No claims will be honored after 14 days upon item receive. When exchanging or returning, all products must be in original packaging with order number issued by our company clearly marked on the outside of the box. Installation is HIGHLY recommended to be done by skilled technicians who have the proper tools, equipment, and training to correctly and safely add equipment to your vehicle. These procedures should not be attempted by do-it-yourselfers. Parts that are modified in any way or damaged as result of improper installation will not approved for return. Most of our products do not come with instructions and won’t be provided , professional installation is highly recommended. Local pick-ups are allow when available, but full amount is required. All items must be paid within 7 days , or an unpaid item notification will be filed, and item will not guaranteed in stock. Our listings are made by our automated listing programs and during the high season time (holidays), there might be times that popular merchandise are backorder due it being oversold, we do try our best to keep the inventory accurate for the item that we list. There might be chances that the item is out of stock before we can stop the listings. The item “Fits 12-15 BMW 3 Series F30 Rear Tail Lights With Wire Coding Harness” is in sale since Tuesday, November 21, 2017. 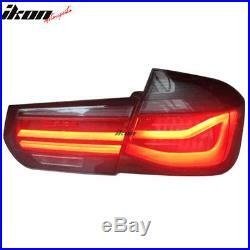 This item is in the category “eBay Motors\Parts & Accessories\Car & Truck Parts\Lighting & Lamps\Tail Lights”. 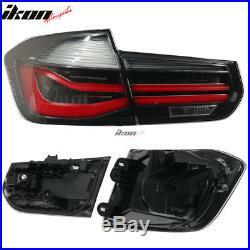 The seller is “ikonmotorsports” and is located in La Puente, California. This item can be shipped worldwide. 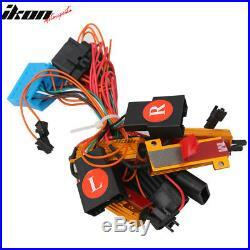 Tagged: 12-15, coding, fits, harness, lights, rear, series, tail, wire.